"Silver bells! Silver bells! It's Christmas time in the city. Ring-a-ling hear them sing! Soon it will be Christmas day!" Decorate your interior this fall with our beautiful Silver Bells Jingle Bells Holiday Ornaments. 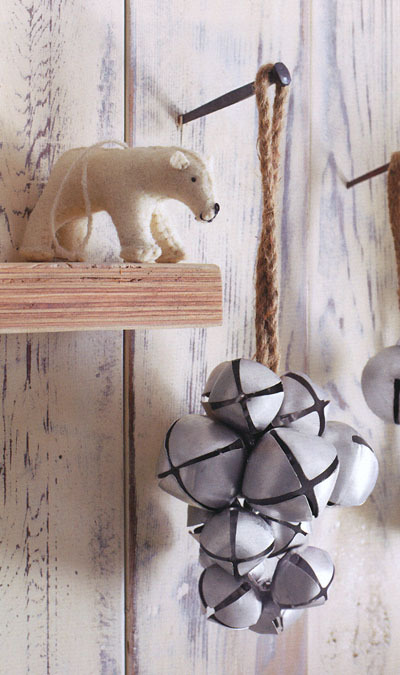 Real Jingle Bells create a refreshing take on the traditional holiday decor. Our beautiful jingle bells cluster will provide a wonderful accent in your holiday decor. Our festive cluster is fashioned from real bells which emit a pleasant jingle. You can use this jingle bells cluster in any location you can use a traditional Christmas decor items such as over your doorway, in a window or against a wall. Price is for 4 (for) clusters. Dimensions: 7 3/4" h x 4 1/2" d.